How to apply an ED visa to Thailand? Step 1 Visit the school with following items as below. Visa document takes about 3 weeks. Once it’s ready, collect the approval letter and school from school. Step 2 Apply for a Non-immigrant “ED” at Thai embassy or Thai consular aboard. Please check that is a Non-Immigrant category “ED”. A single-entry Non-Immigrant Visa MUST ENTER Thailand within 90 days from the date the visa is issued. Please check – the stamp of immigration is Non-ED and you’re allowed to stay for 90 days. Please bring your passport and departure card to the school within 1 week in order to request the 2nd letter from MOE for visa extension. Step 1.2 Download and complete the application forms. Step 2 Send the required document to the school by e-mail (scan version) or post mail. 2. All copies of your passport. Note: all used pages and page-show your photo and number, please sign every pages. Once it’s ready, the approval letter and school license will be mailed to you by post mail. School : We will check your document and e-mail to you for confirmation. Step 3 Transfer thetuition fee or Deposit 10,000 Baht. Note: Please send a payment slip to the school by e-mail for confirmation. School : Your document will be submitted to the Ministry of Education for request the Approval letter. Approval letter of Ministry of Education in Thailand takes about 3 weeks. 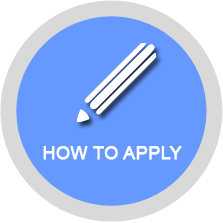 Step 4 Apply for a Non-immigrant “ED” at Thai embassy or Thai consular aboard. Copyright © 2004-2016 aaathai.school All Rights Reserved.